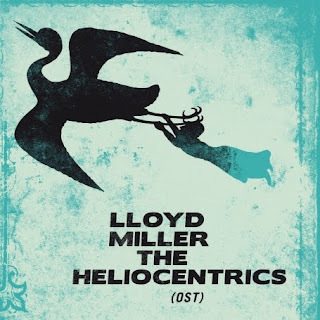 Lloyd Miller and The Heliocentrics follows Now-Again's Heliocentrics collaboration with Ethio-jazz legend Mulatu Astatke with an album that pairs ethnomusicologist, jazz maestro and multi-instrumentalist, Lloyd Miller with the UK collective. With multi-instrumentalist Lloyd Miller, a doctor who specializes in Persian classical music, The Heliocentrics create an album that is both courageous and moody. “Bali Bronze” and “Electricone”, for instance, with its haunting flutes, forceful piano, and pounding drums, crumble the distinctions between Western jazz and Middle Eastern compositions. The same goes for “Modality,” with roots established in John Coltrane-esque jazz and Iranian arrangements. But while (ost) is fidgety and restless, the Asian-influenced “Sunda Sunset” is a five-minute massage suited for deep meditation and immense introspection. All told, (ost) could be disassembled and studied for its dedication to international influences, or praised simply as good music. Then again, with musicians like the great Lloyd Miller and the distinguished Heliocentrics at the helm, should we really be surprised?